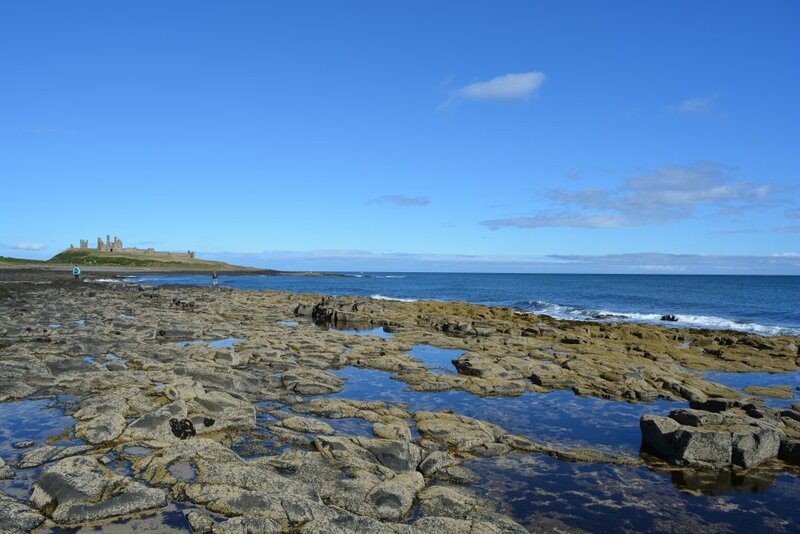 As you can see, the walk was photographed on a grey misty day and a lovely blue sky day on the wonderful Northumberland coast! 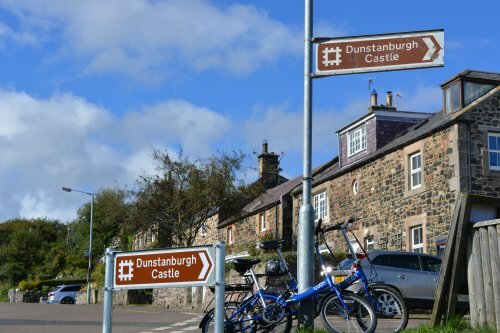 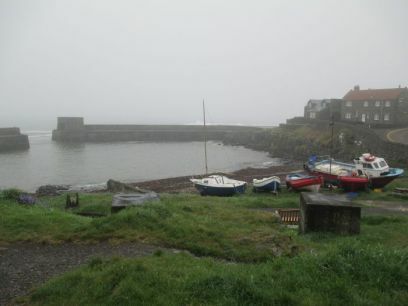 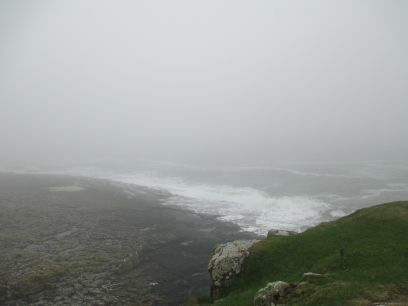 The first time we did the walk it was a very misty day for this short 'classic' walk from the fishing village of Craster to Dunstanburgh Castle, but a few years later in 2016 the weather was much kinder as we headed down Dunstanburgh Road en route to Dunstanburgh Castle. 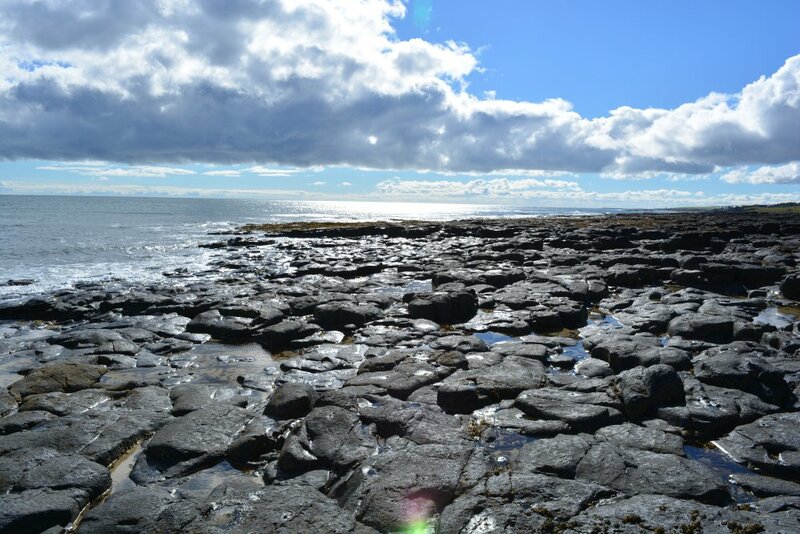 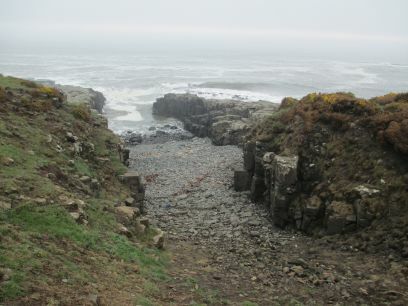 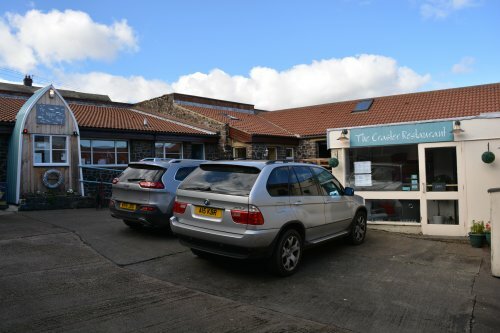 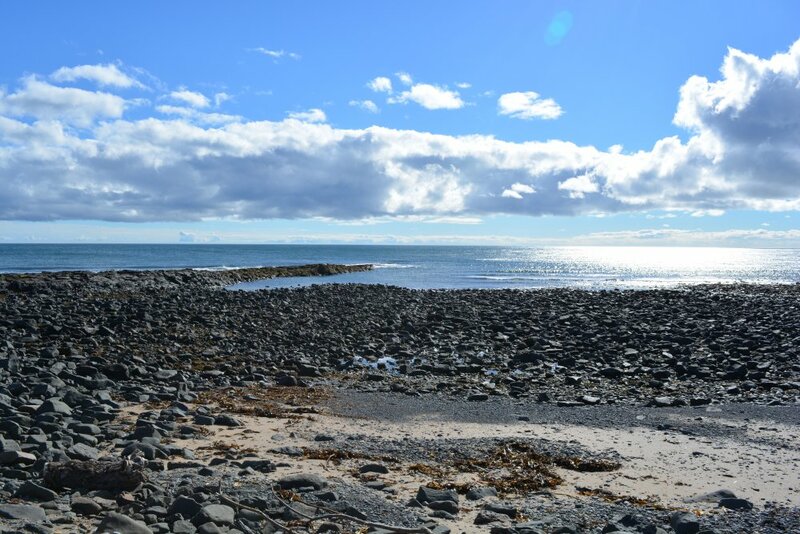 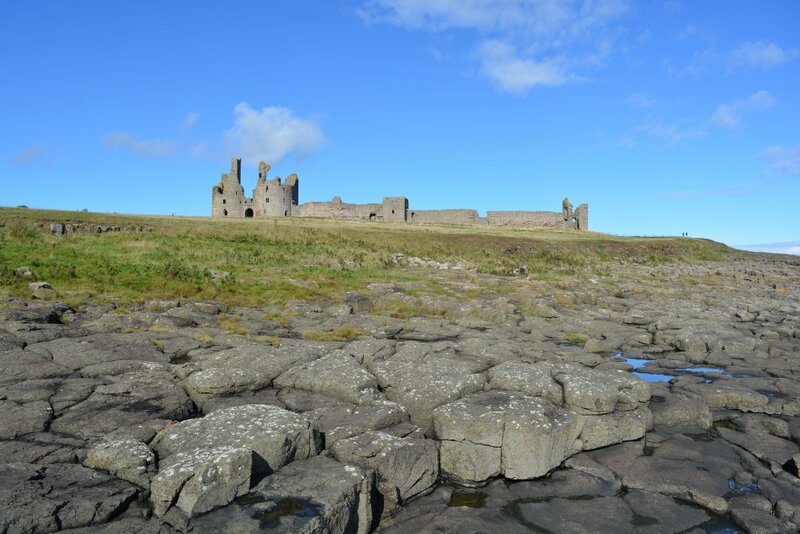 The car park at Craster is in the old Craster Quarry famous its dark grey very hard wearing whinstone from the whin sill used for metalling roads. 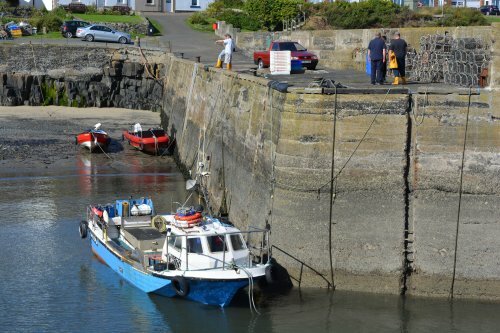 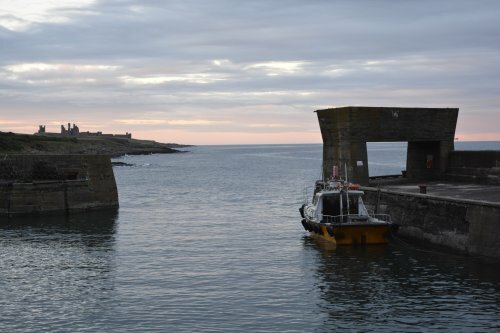 It was carried by an overhead cableway down to the harbour where can see a thick concrete rectangle that was part of the structure to load the stone into boats. 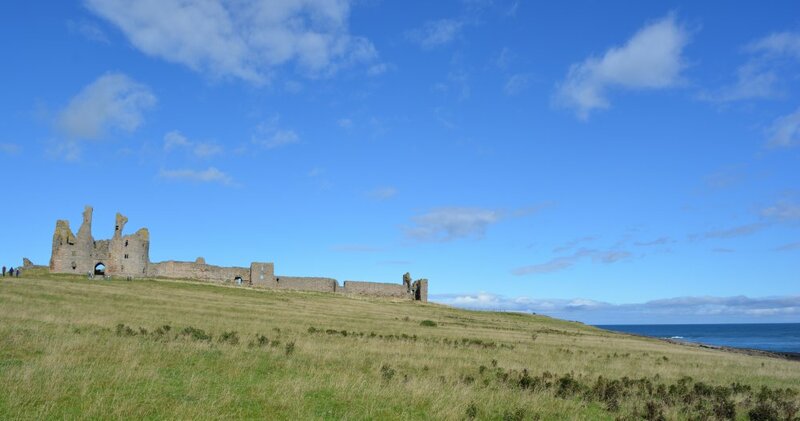 The best section remaining of Dunstanburgh Castle's defensive curtain wall. 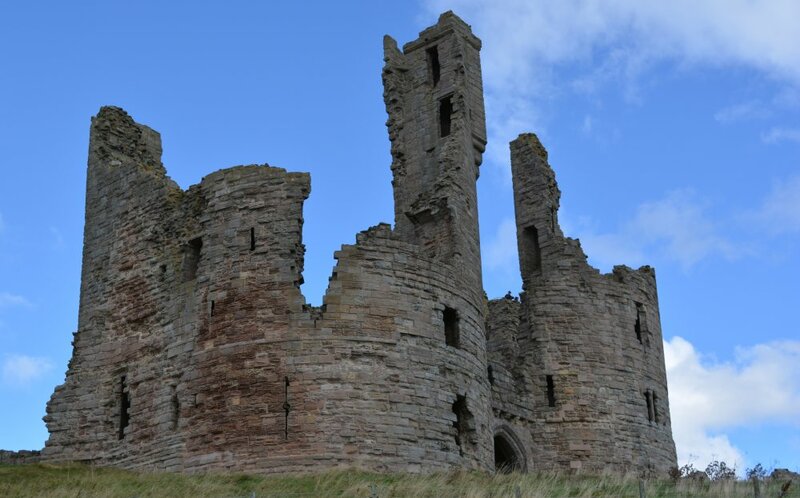 Dunstanburgh Castle is a fine ruin of a medieval castle set on the magnificent wild coast of Northumberland. 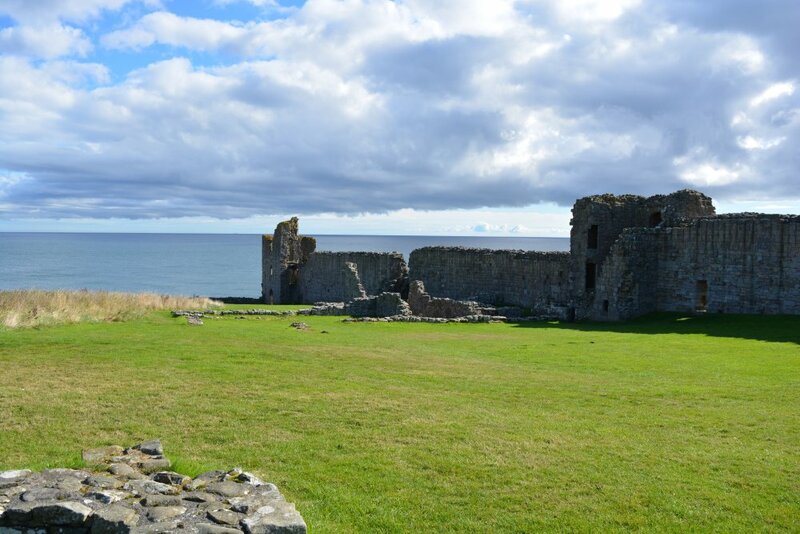 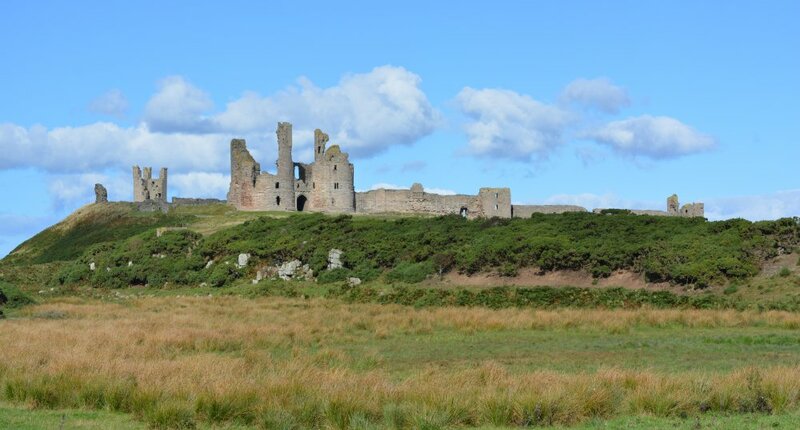 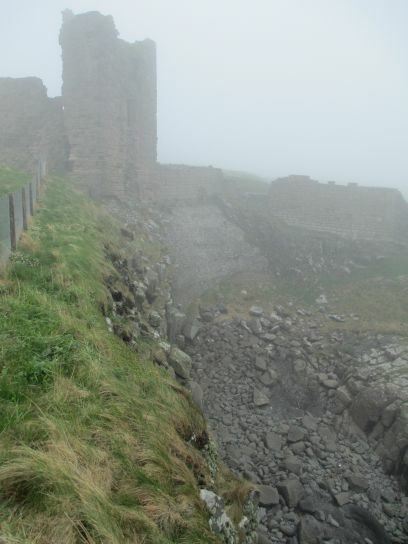 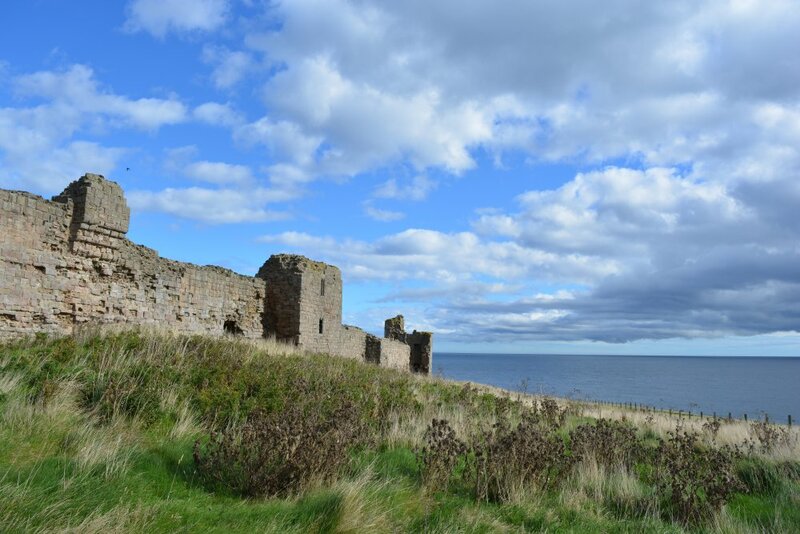 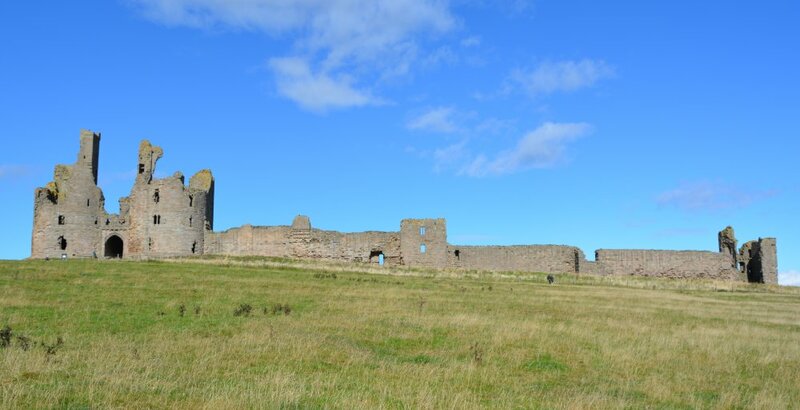 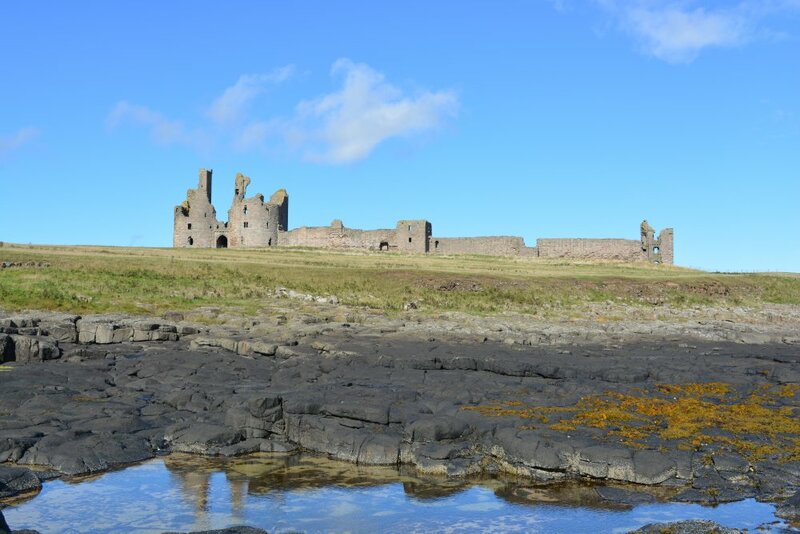 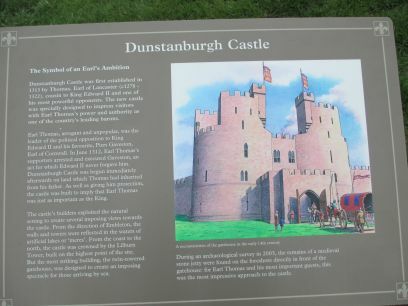 Dunstanburgh Castle was started in 1313 by Thomas, second Earl of Leicester and completed by 1316. 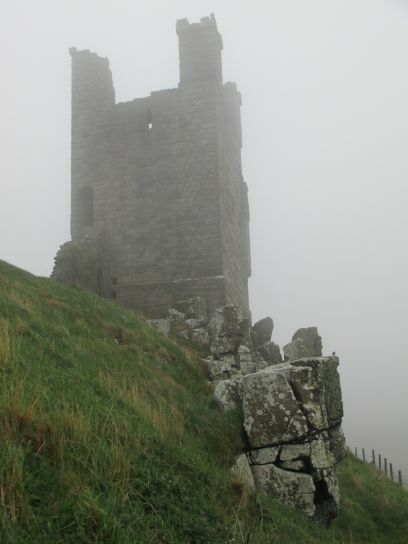 The mist begins to clear from above Dunstanburgh Castle, as we head for home! 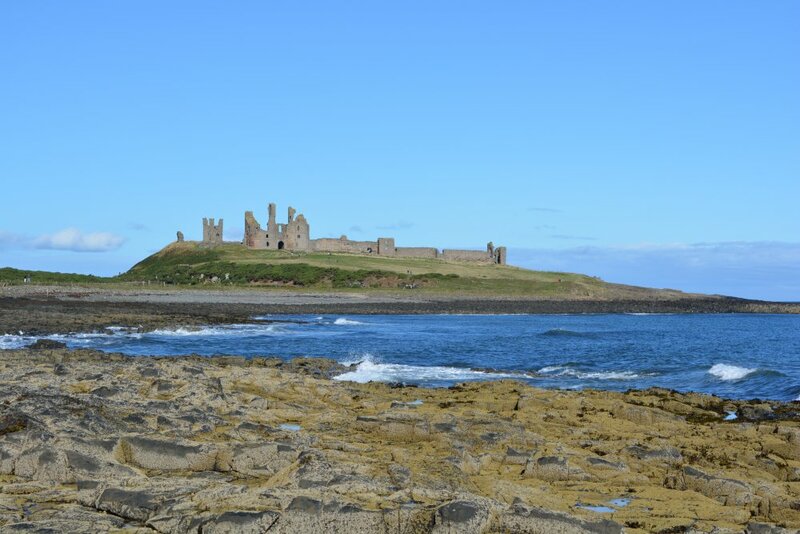 Much better with a bit of sun on Dunstanburgh Castle! 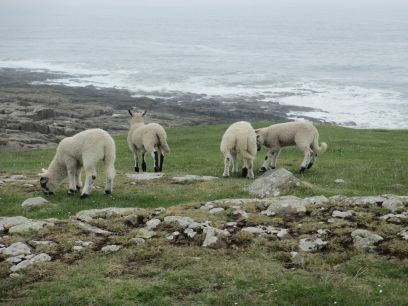 The 'coastal' sheep near Dunstanburgh Castle don't seem to notice the weather. 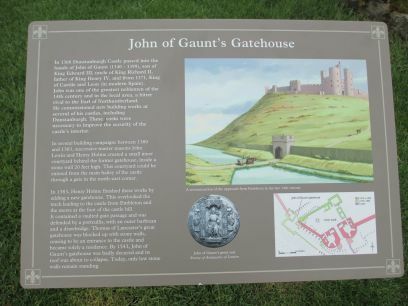 After the execution of the 2nd Earl of Leicester for treason in 1322 it was left to John of Gaunt. 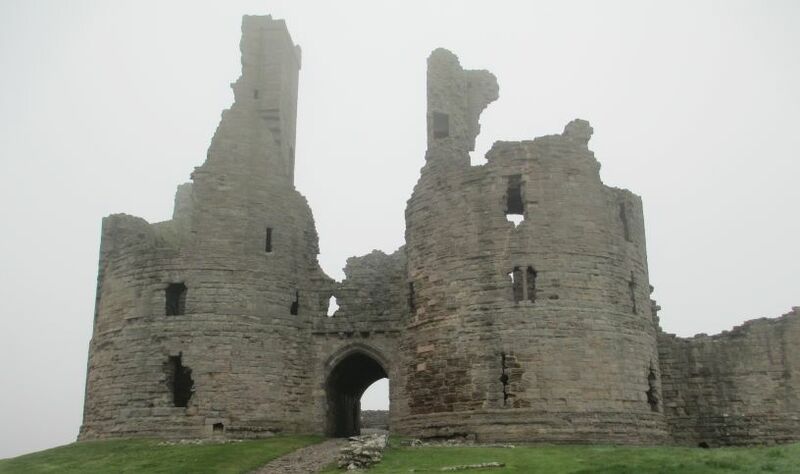 The haunting medieval ruins of Dunstanburgh Castle which was left to decay by 1470 and a report to Henry VIII in 1538 described Dunstanburgh Castle as being in a most ruinous state. 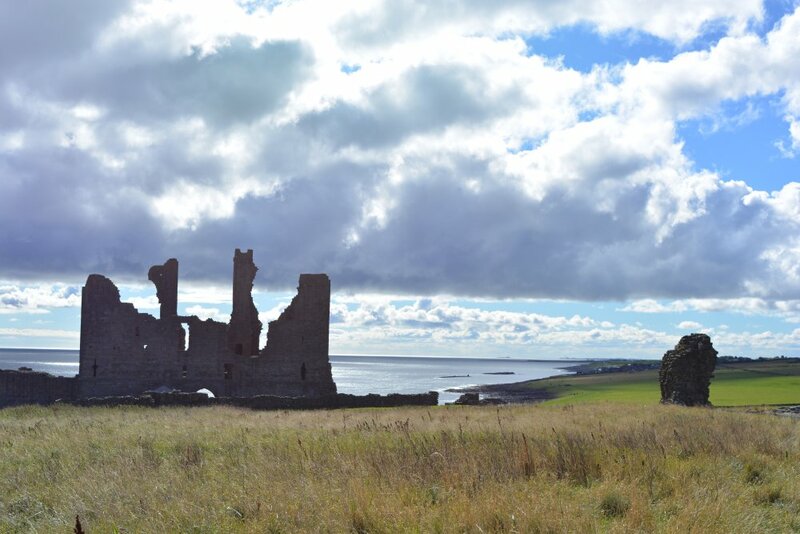 The wall of Dunstanburgh Castle 'falling' away to the sea. 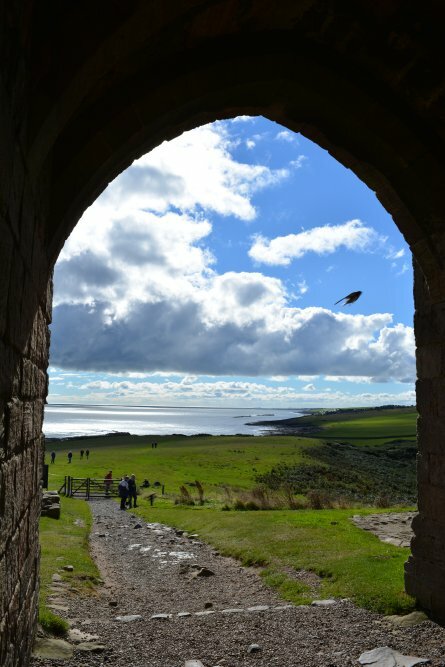 Looking out towards the sea from the main gate of Dunstanburgh Castle. 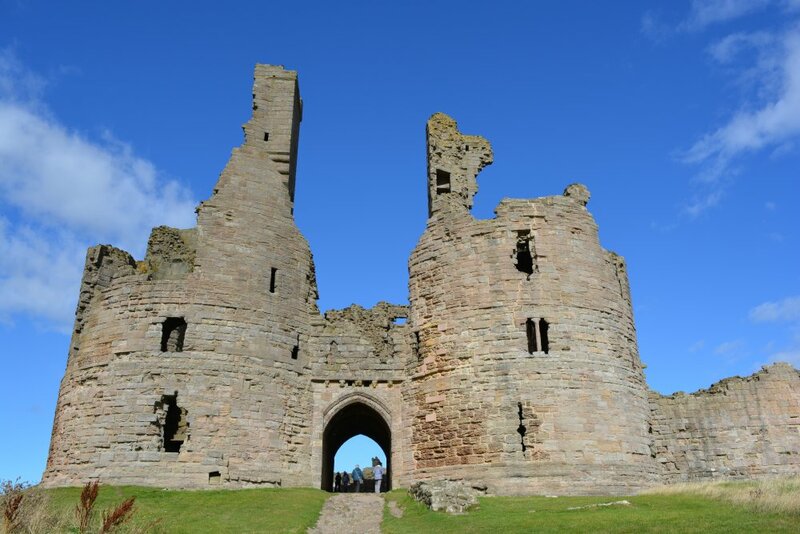 English Heritage supply plenty of information on Dunstanburgh Castle. 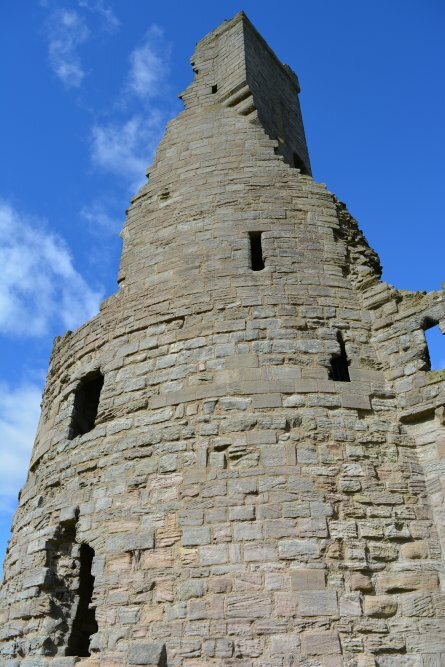 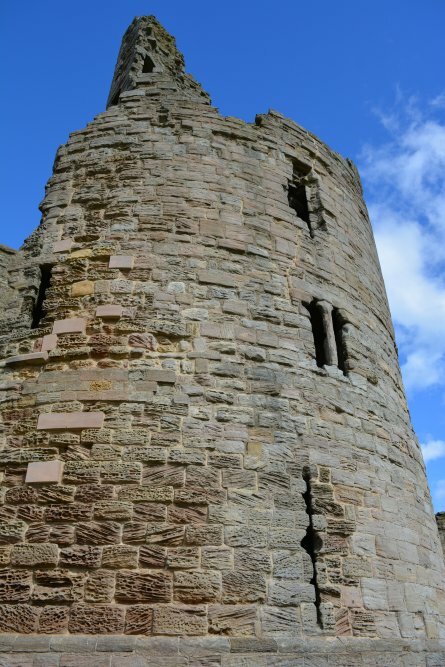 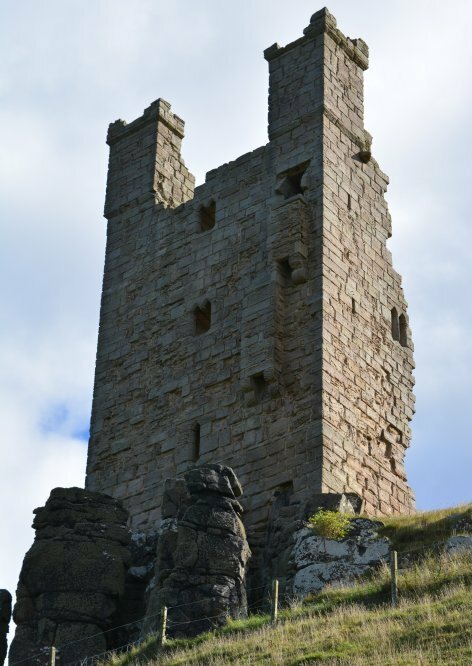 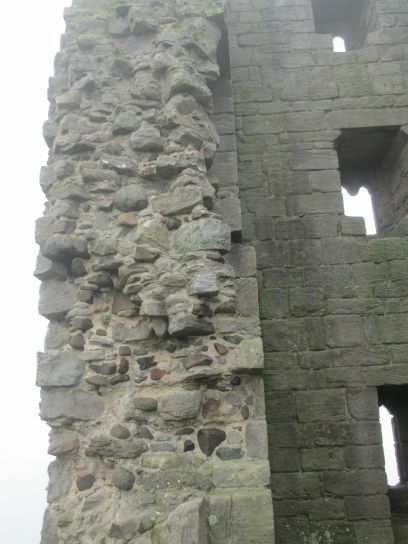 Details of the Lilburn Tower of Dunstanburgh Castle. 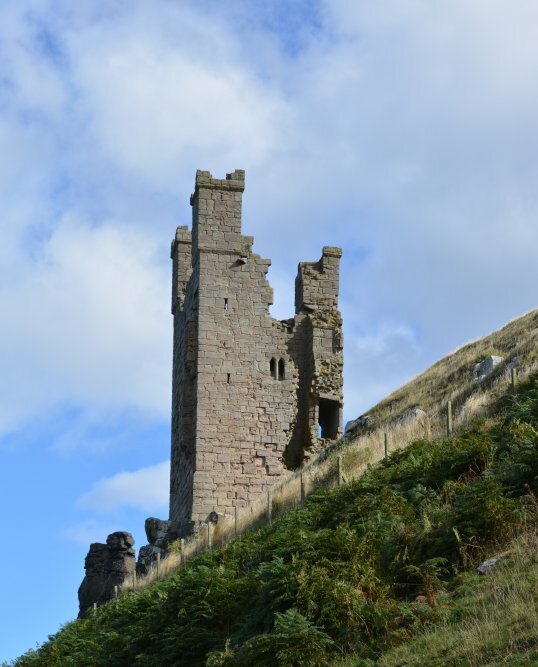 Looking up to the Lilburn Tower of Dunstanburgh Castle from the path that skirts around it on the landward side. 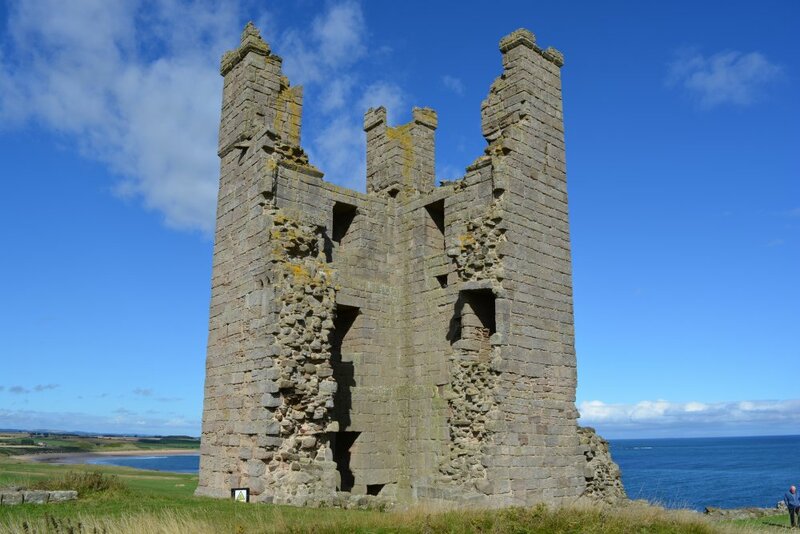 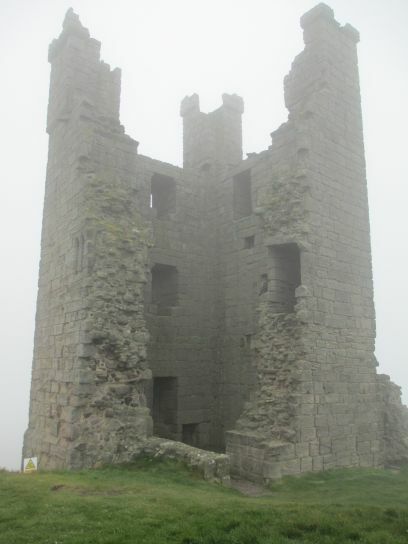 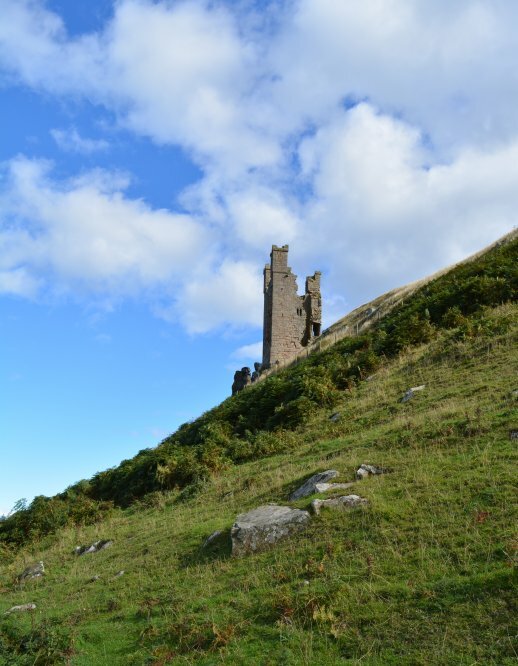 The Lilburn Tower of Dunstanburgh Castle consists of three storeys with square angle turrets. 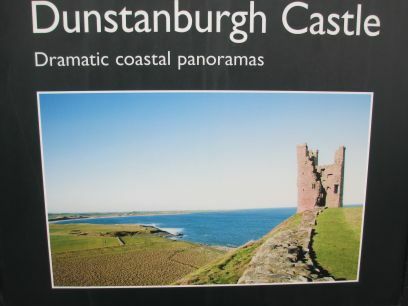 Dunstanburgh Castle is built on a dolerite promontory and a most moving and romantic site. 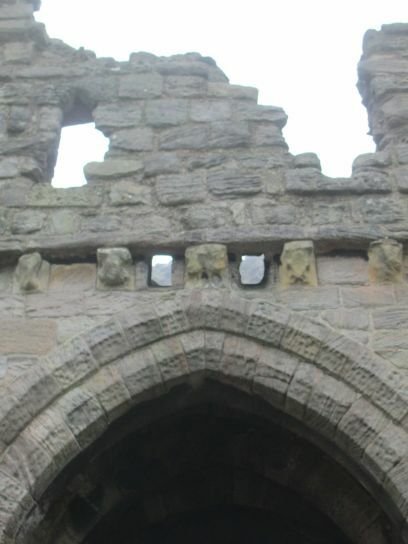 The master mason was 'Master Elias' and crenellation license issued in 1315. 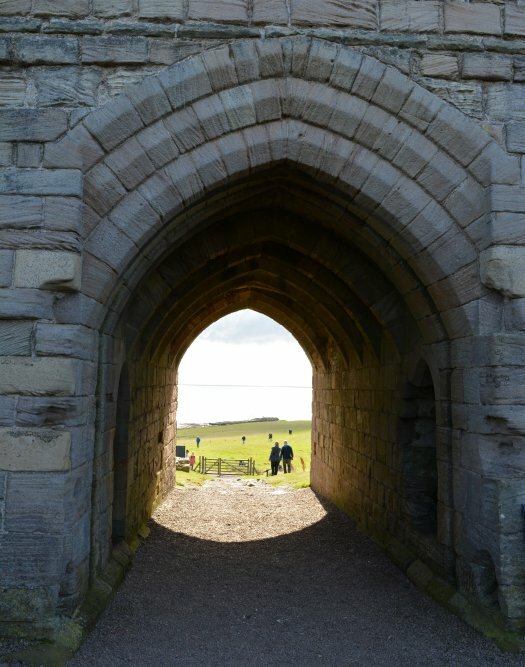 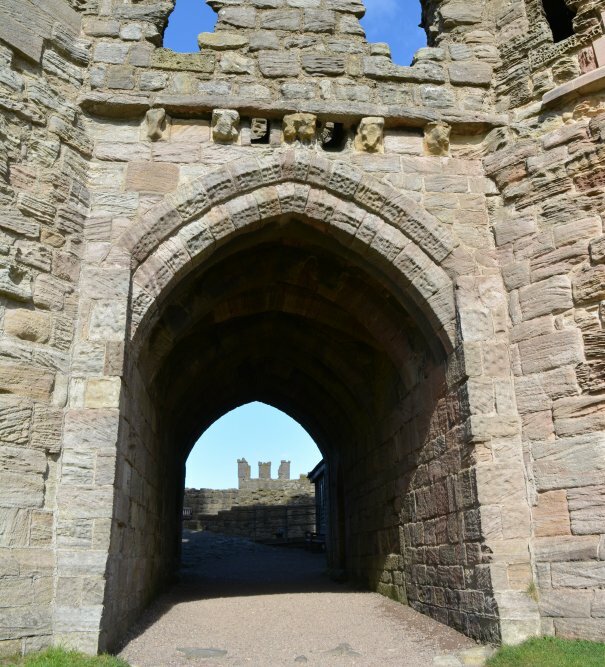 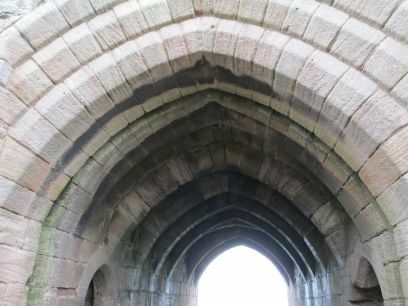 John of Gaunt's Gatehouse, Dunstanburgh Castle. 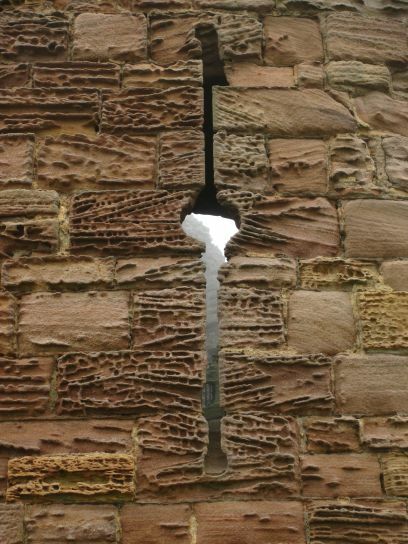 A slit for firing arrows through. 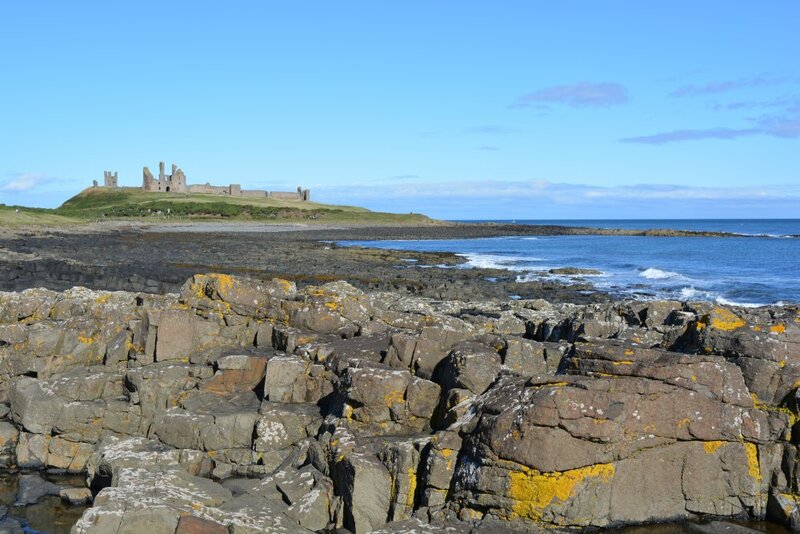 View of Dunstanburgh Castle from just above the southern end of Embleton Beach. 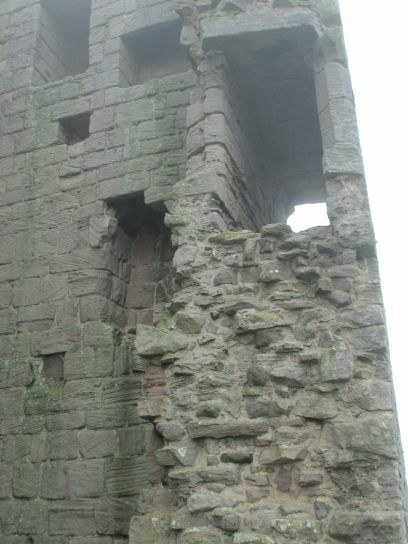 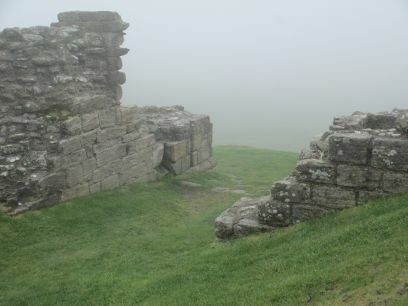 View of the curtain wall on the east side of Dunstanburgh Castle from the centre of the bailey. 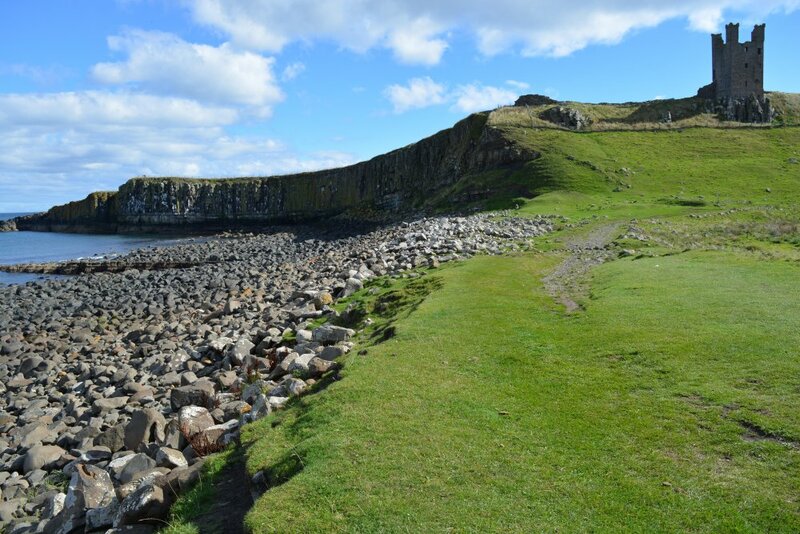 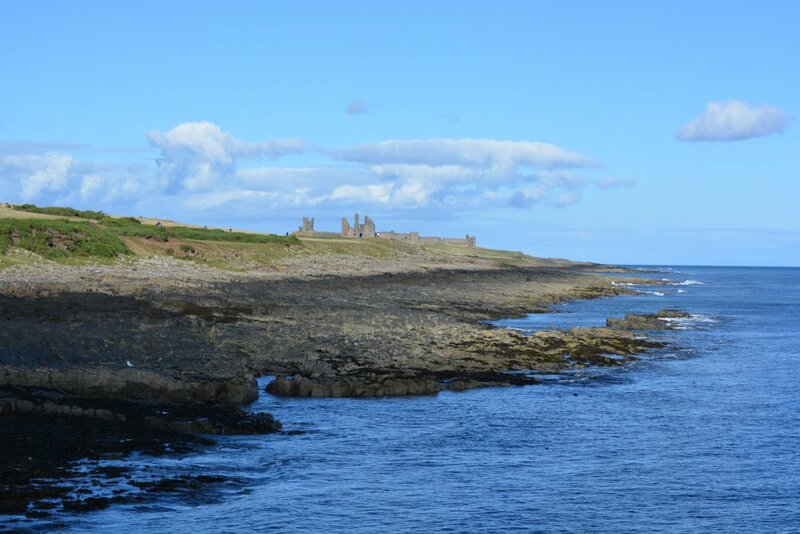 On the left is gull crag, a great natural defence for Dunstanburgh Castle on the north side of the castle bailey. 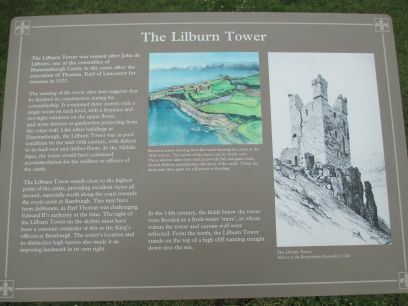 On the right is Lilburn Tower. 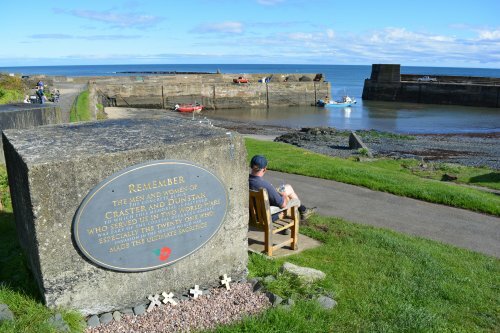 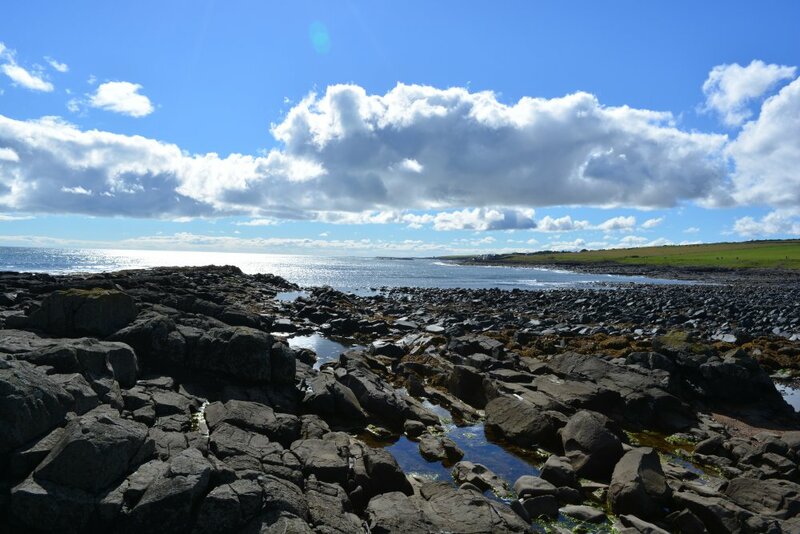 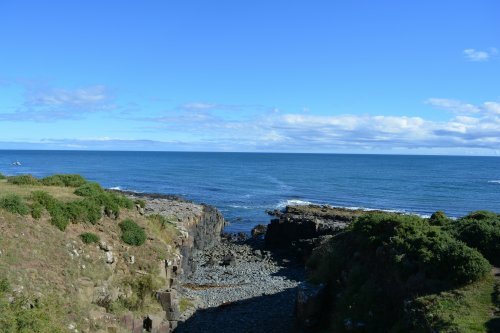 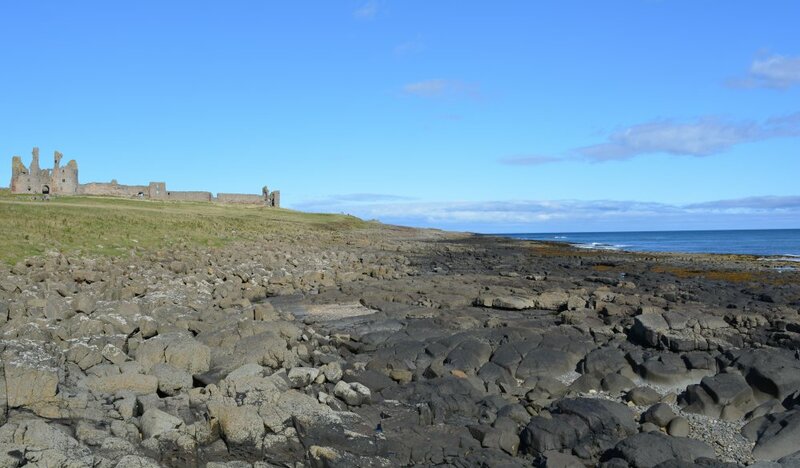 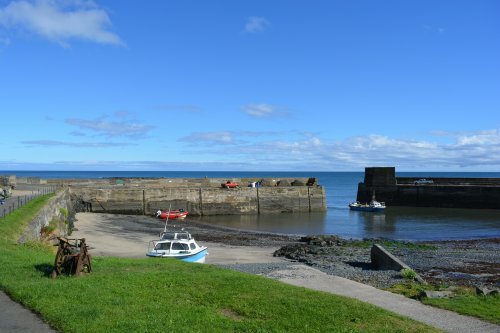 Overlooking the harbour at Craster is the memorial to the men and women of Craster and Dunstan of served in the 1st and 2nd World Wars. 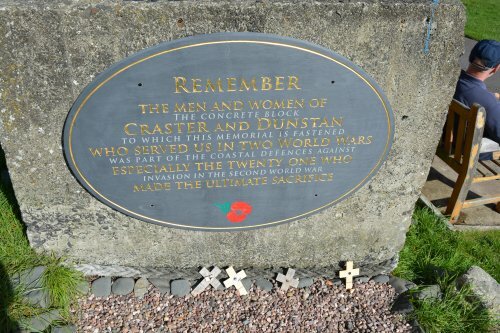 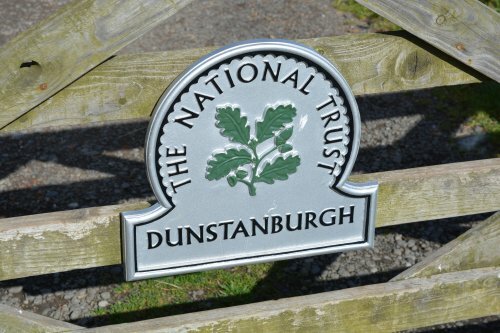 The plaque is on a concrete block that was once part of the coastal defences of the Northumberland coast. 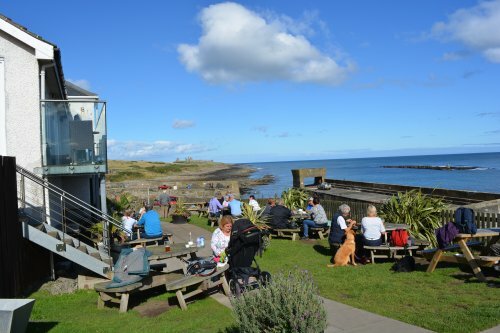 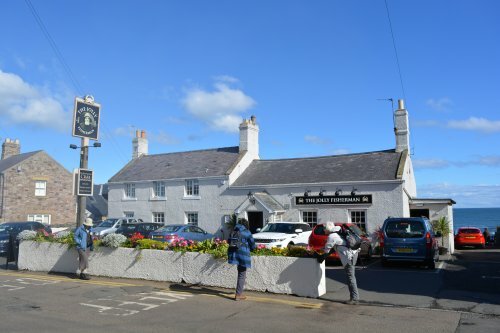 You climb up Haven Hill in Craster to 'The Jolly Fishermen' pub with great beer garden sea view at the back! 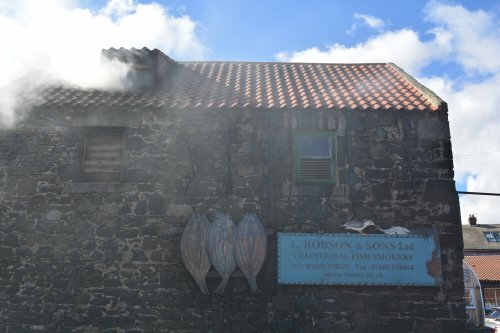 L. Robertson & Sons Ltd, traditional 'fish smokers' producing kippers in Craster. 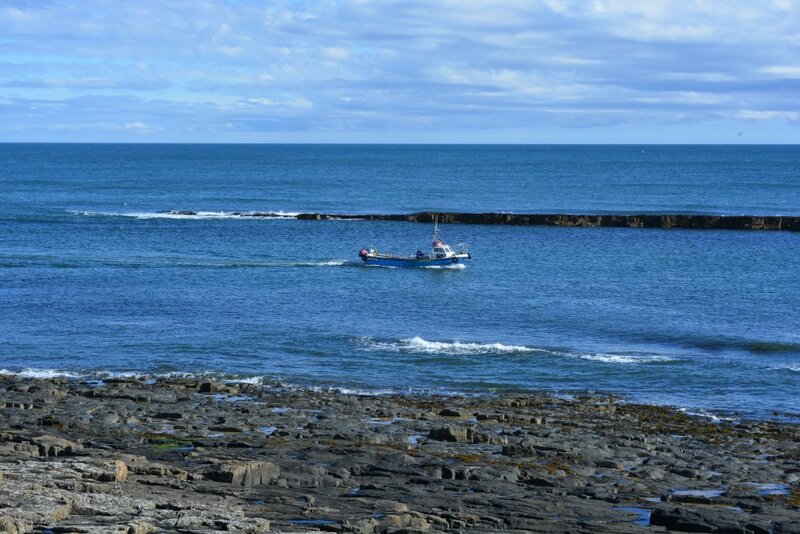 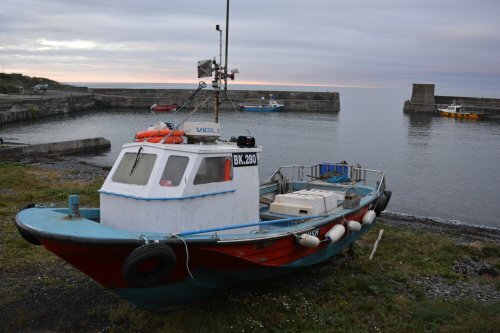 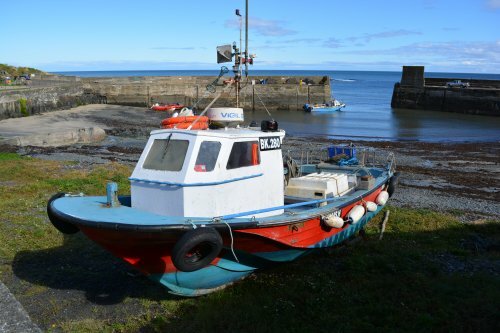 The only lobster fishing boat in action at Craster on the day of our visit to Dunstanburgh Castle. 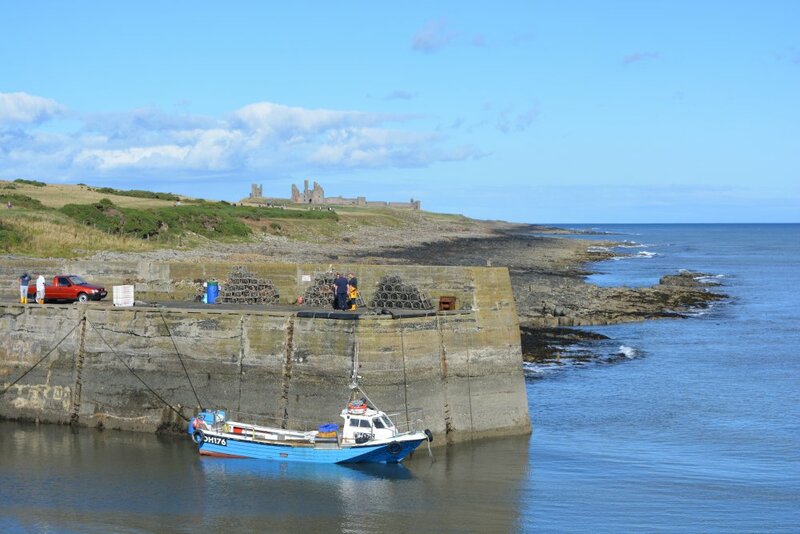 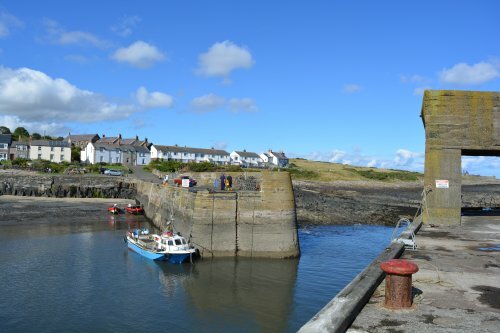 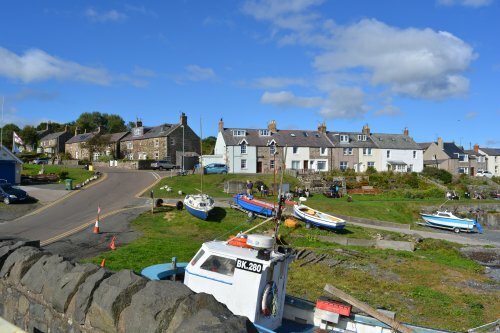 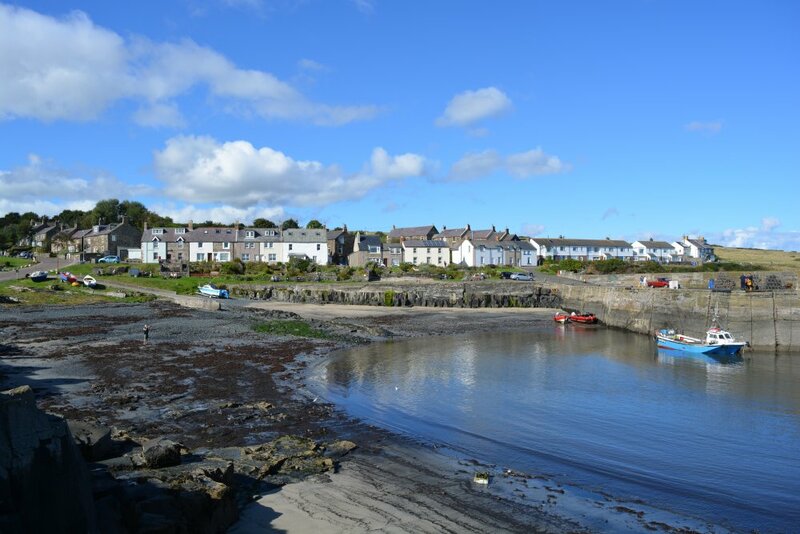 A general view of Craster Harbour and the houses along Dunstanburgh Road, which you go along on the right to meet the coastal path to Dunstanburgh Castle. 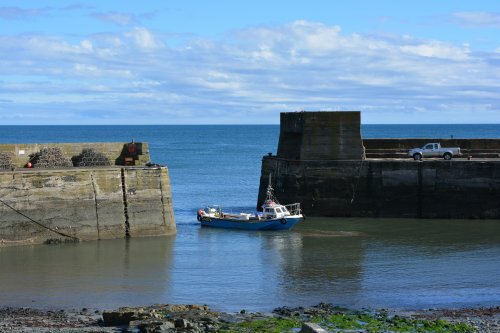 Craster harbour was constructed in 1906 by the Craster family as a memorial to Captain Craster killed in India on the Tibetan expedition of 1904. 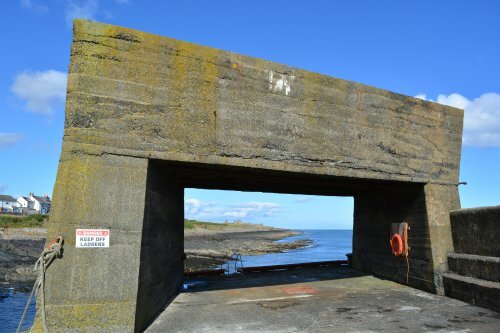 This strange rectangular block of concrete at the end of the south pier, is all that is left of a tall hopper into which the whinstone rocks were deposited by an overhead cableway from the whinstone quarry. 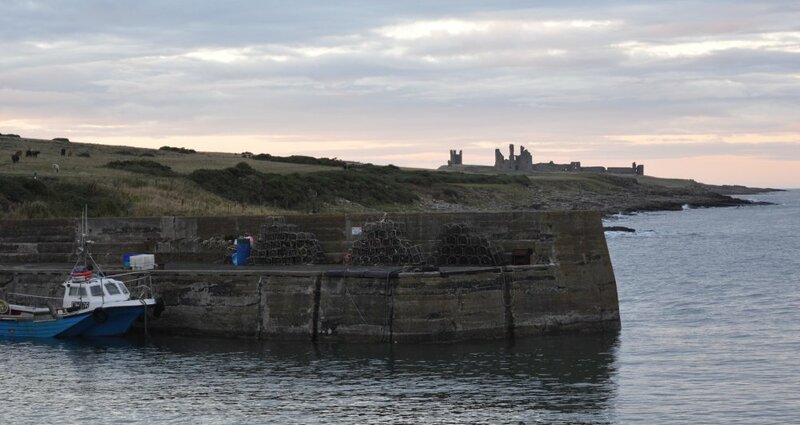 Distant telephoto view of Dunstanburgh Castle from Craster. 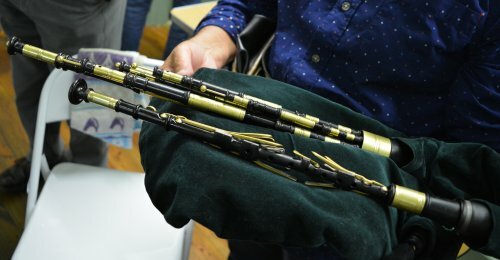 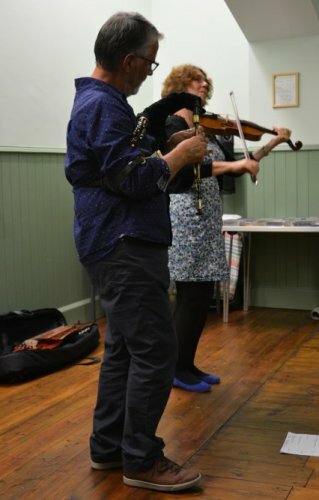 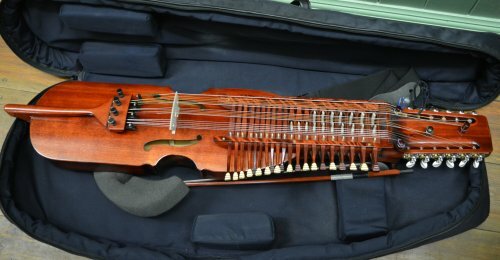 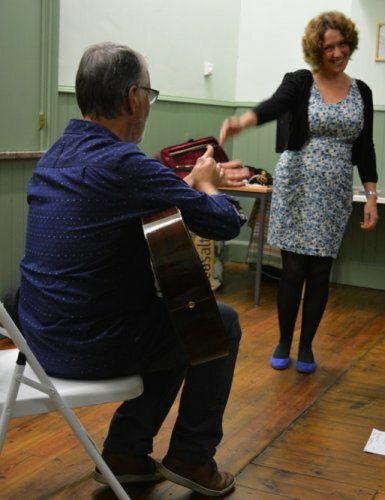 In Craster, one evening, we very much enjoyed a great folk concert in Craster Memorial Hall, given by Andrew and Margaret Watchom, who, between them, play the Northumbrian smallpipes, other types of bagpipes eg sackpipa (Swedish bagpipe), hummelchen (Swedish keyboard fiddle), guitar, fiddle and vocals. 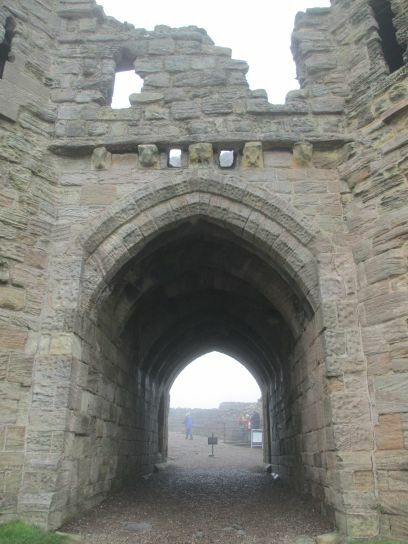 Enter place, walk, feature, historic building, museum, art gallery, tourist attraction, anything of interest!